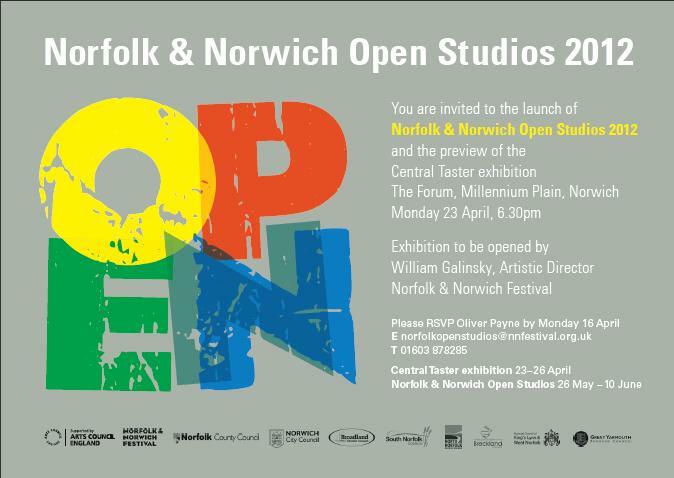 The last day to see the Norfolk open studios taster exhibition 2012 in the Norwich Forum is 26 April at 4pm. 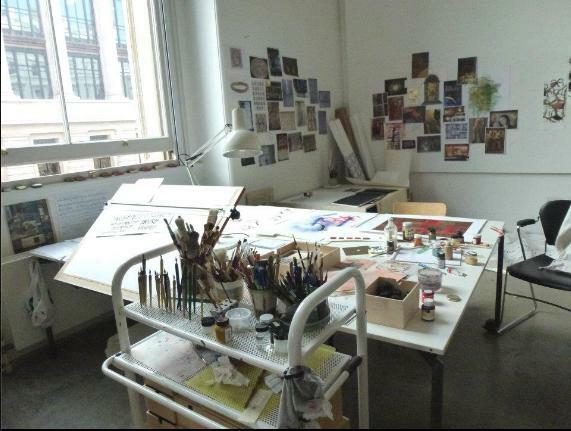 Each participant can put in one picture or sculpture of their art. 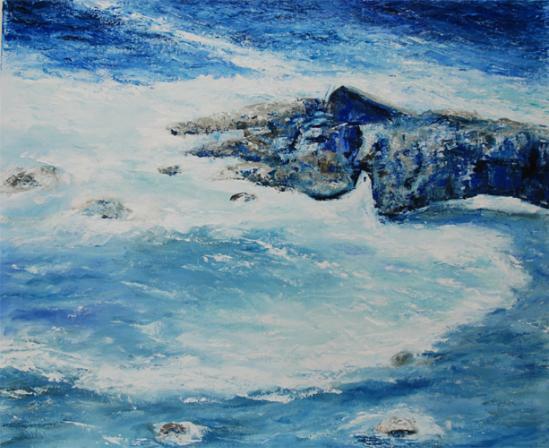 On show is my painting inspired by the Lizard pennisular in Cornwall. 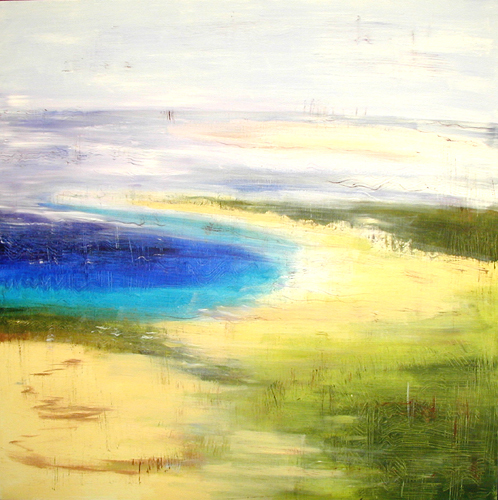 A new art exhibition for Spring starts at 6.30pm 17 April 2012 until 29 April in the Wymondham arts centre, Becket’s Chapel 2 Church street, Wymondham, Norfolk NR18 0PH. It is located next to the Green Dragon. 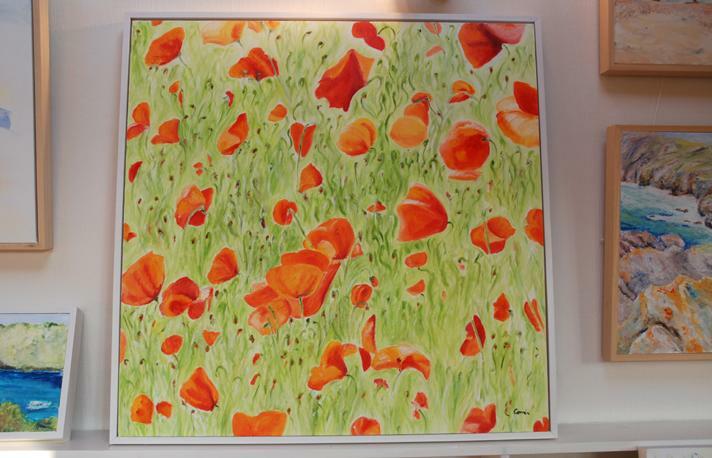 I am entering for the first time and the large poppy painting below has been displayed in the gallery. It seems funny to think of myself as an emerging artist, however anyone who moves cities, counties, relationships, jobs knows there is an element of starting again. A period of retreat, redress and eventually emergence. 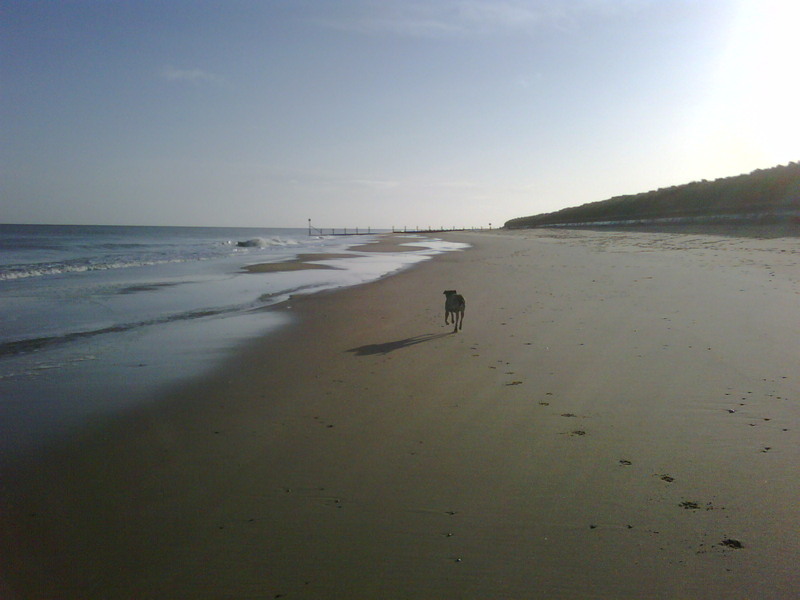 As my second year in Norfolk approaches its anniversary, I review my first steps. Julia Cameron of the Artist’s Way fame states, sometimes you do the art and sometimes you do life. The first year I did a bit of both. The second I did a lot more art. Initially I travelled around the County to fill the void that had developed for seascapes, beach huts and boats on the water. 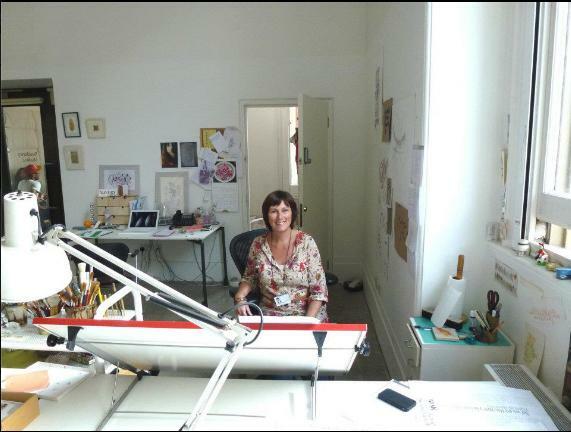 I spent twenty fabulous years in London making the most of creative venues. However, after growing up in Scarborough, Perth by the sea with regular boat trips to Rottnest via Fremantle where I was spoilt for coastal cravings, I finally felt HOME when I moved closer to the sea. People ask two things, why don’t you live there? (in Perth) and then ask why Norfolk? The first is pretty easy, Perth is beautiful, just not close enough to Europe and frankly a little too hot for my liking. Days of high 30 degree temperatures suit some people, just not me. A British grandparent’s birth in Epsom allowed me to live in the UK.The Norfolk question is actually pretty simple. 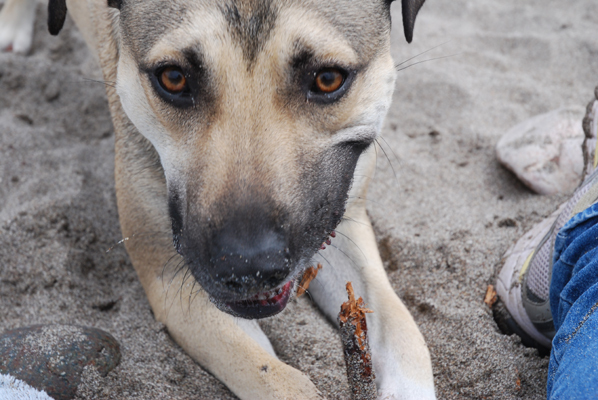 I had a holiday with Jack, my Battersea rescue dog, stood on the beach at Sea Palling with the empty sandy playground before us and Jack went for his first swim, it was that simple. Right, I thought we need to live here. 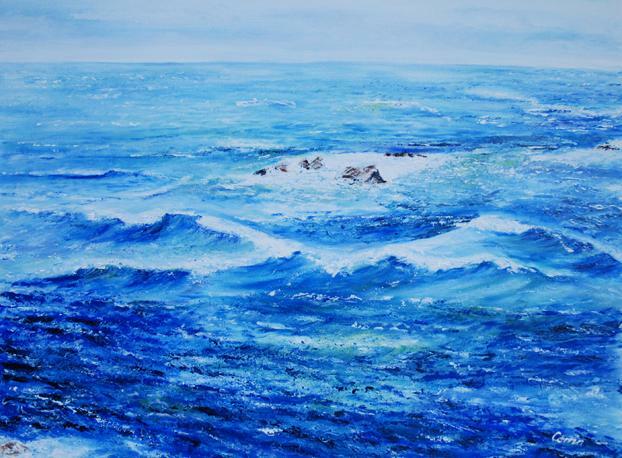 Of course I could underpin the decision with many other aspects, such as I was already painting several series of seascapes inspired from visits to Margaret River, West Australia. I was also already in the process of moving on from my flat in Muswell Hill. Changes in neighbours, noise and floods from above all contributed to an urge to pack and go somewhere with more space, less sirens and no complicated Freehold legacy. I needed space to paint big canvases. So how did the art develop? First came the sketches, then the paintings and finally a definitive shift from Acrylic to Oil paints. I do little sketch book studies in ink pen or aquarelles (using a brush pen with water dispenser) as they are easy to travel with and usually I have a limited time with young pup in tow bringing me every new toy. Here are a few of the first B/W sketches, Hickling Broad, local White Horse pub and Cromer beach huts that can be found on my website.